5 1/2" x 3 5/8" sheets. 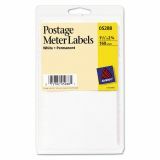 Avery Permanent Adhesive Postage Meter Labels, 1 1/2 x 2 3/4, White, 160/Pack - Postage meter labels are designed for Pitney Bowes postage machines 5675, DM3, Touchmatic 5705, 5640, 4150 and 5830. Each sheet holds four labels. 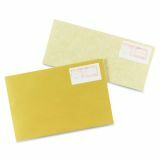 Use all four for postage or run two together to add your company logo or advertising message. 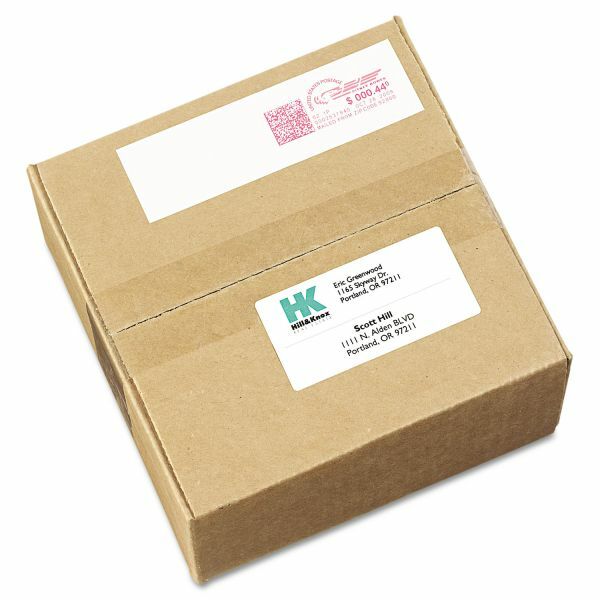 Permanent adhesive ensures label will stay secure through the mailing process. Pitney Bowes® is a registered trademark of Pitney Bowes, Inc.